Below are some pictures of my dad's 1966 Chevrolet Chevelle Super Sport, click on them for larger versions. 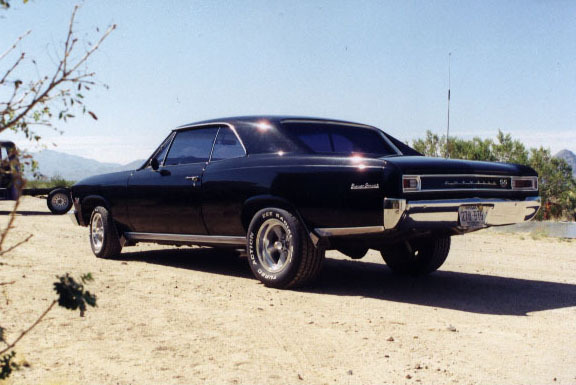 This Chevelle has a 427 cubic inch engine, and he's the only owner the car has ever had. He bought it new when he graduated from high school in 1966, and it's still in great shape today. The 427 in this car isn't original, the car came with a 396 (which my dad still has). The 427 is out of a 1966 Corvette.